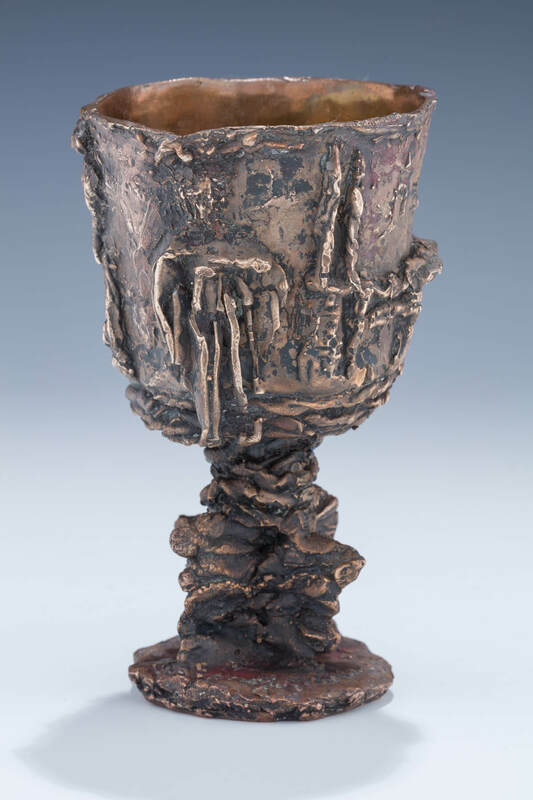 A BRASS KIDDUSH GOBLET BY HANA GEBER. New York, c. 1970. In brutalist abstract form.